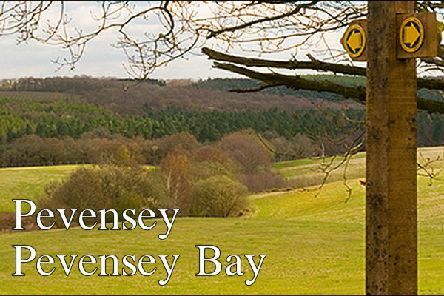 MUSIC OF SUSSEX: Will be the subject of a Grill Night and talk held at Priory Court Hotel on Thursday April 18th Following on from the successful Bizzare Sussex talk, Robert Slater is now presenting this new talk on Sussex. Did you know Elgar wrote his Cello Concerto in Sussex, have you ever heard of Havergal Brian who composed the longest ever symphony, how did Bognor Regis inspire a famous piece of radio music and then there is a drunken choirmaster, a trial for treason and even a piece inspired by a ghostly leper colony. Booking via Priory Court on 01323 763150 and ticket price £15 includes a Grill Night Meal and the Talk ! QUIZ ETHEL WOOD HALL: There will be a quiz on November 9th at the Ethel Wood Hall on Coast Road Pevensey Bay in aid of raising money for the purchase of a Defibrillator to be fitted on the outside of the Hall. PEVENSEY GHOST WALKS HALLOWEEN: There will be walks on Saturday 20th and 27th of October at 7.30 and of course one on October 31st Halloween Wednesday at 7.30. Starting at the Castle Car Park. For those more adventurous there is a special walk on the 31st starting at 10.30 and finishing at midnight ! There is no need to book for any of the walks (Except for the late 10.30pm) because they will be running whatever the weather! PEVENSEY VILLAGE DRAW AND QUIZ: There is still time to buy your tickets for the Pevensey Village Draw with lots of great prizes. The money raised is going towards buying a Defibrillator for Pevensey which will hopefully be placed somewhere around the Market Square Car Park. The tickets are £2 each and are available at Haven Garage, Royal Oak and Castle, Priory Court, The Heron, Vines Flowers or else contact Robert on 07740 828215. PEVENSEY DEFIBRILLATOR & VILLAGE DRAW: The campaign to raise money for a Defibrillator to go in the Market Square is now well under way and moving on to raising the money to buy the case and fitting. To get the rest of the money there is going to be a Pevensey Village Draw. Lots of prizes from Coffee with Huw Merriman MP and a Tour of the Palace of Westminster to Sunday Lunch at Priory Court, A ready planted Planter from Hillers, MOT voucher form Haven Garage and even a personal Poem penned by local poet Laurie Wilkinson and more prizes. The draw will be made at a Grand Quiz at Priory Court Hotel on September 19th. SCARECROW FESTIVAL: The Festival is underway and this year the theme is ‘Circus’ If you get down to the Market Square you will find all manner of Scarecrows from a Ringmaster, Elephant, several Clowns, and many more. Some Scarecrows are also appearing around the streets as well including on the High Street the ‘Policeman with a speed camera’ hopefully scaring motorists not crows!